As climate change continues to affect natural systems in the coming years, land trusts may need to adapt their approach, their properties and even their guiding philosophies. What do we do about climate change? This is the essential question of climate change adaptation. And, for many land trusts, what to do and how to adapt are becoming central to everything from the drafting of conservation easements and the siting of buildings to the rethinking of what should be protected in the first place. 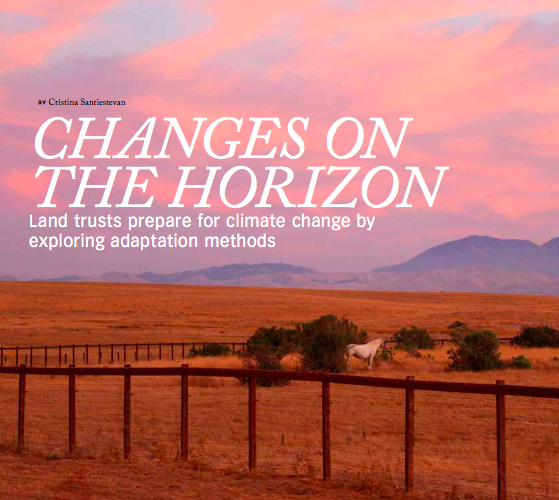 This article describes how land trusts across the United States are preparing for climate change.